Automall theme have five default page templates. Create a new page and name it Inventory or similar to display your full inventory. For page permalink you can write full-inventory or similar (do not inventory only as it will conflict with the custom post type). 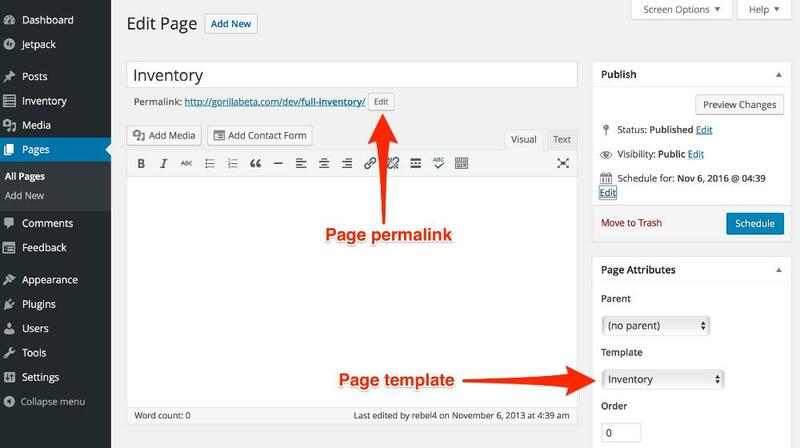 Select Inventory from the Page template dropdown and publish your page. Create a new page and name it Contact Us or similar to display your Contact Us page. 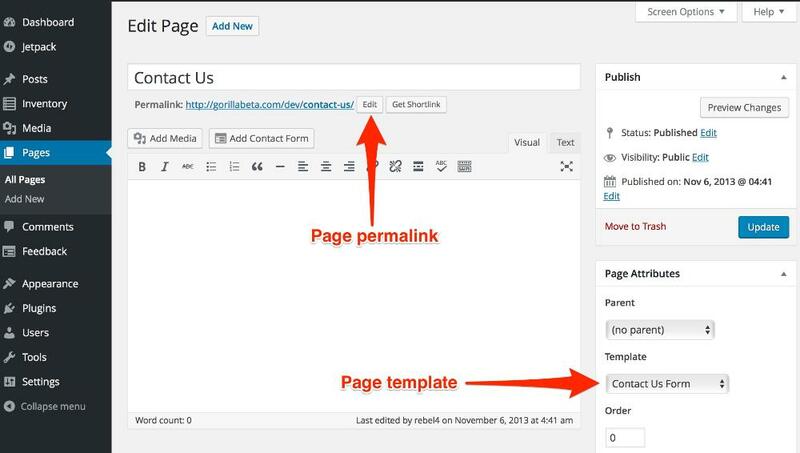 Select Contact Us Form from the Page template dropdown and publish your page. 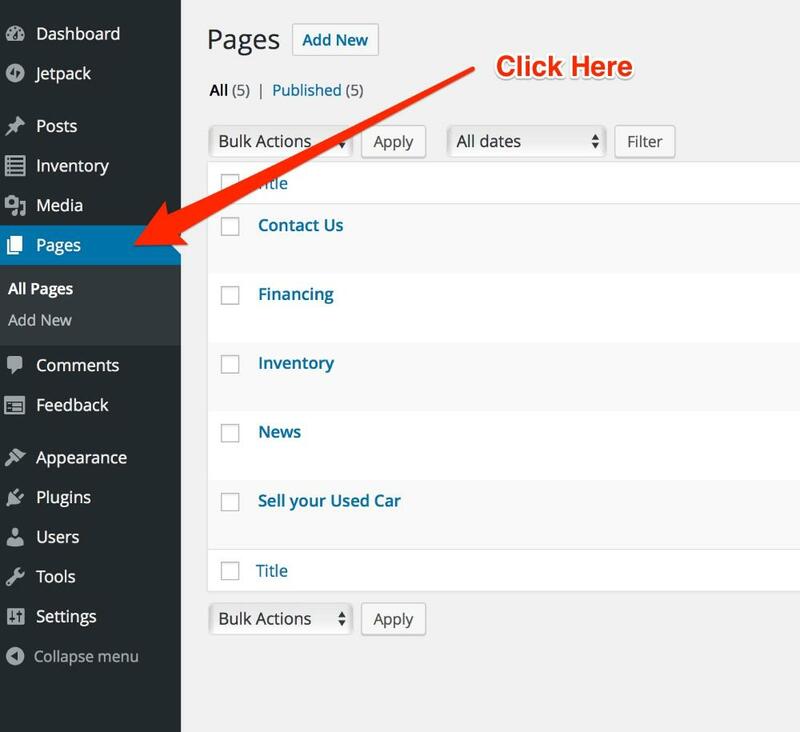 Create a new page and name it Blog or similar to display your Blog/News page. Create a new page and name it Financing or similar to display your Financial Application page. 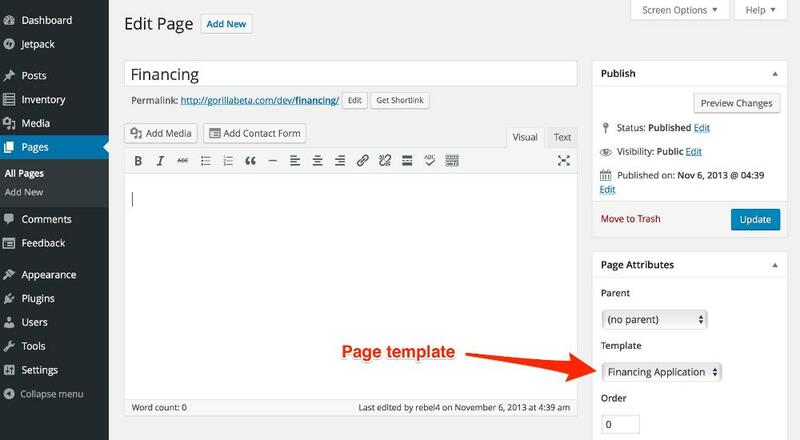 Select Financing Application from the Page template dropdown and publish your page. Select Sell your Car from the Page template dropdown and publish your page. Click on "Tools" >>> import >>> WordPress and locate the provided XML file in your computer. Click upload file and import, select your author preferences and click "Download and import file attachments". All the content from the demo theme will be on your website. If you go to the "Inventory" menu tab you should see all demo content imported on your dashboard as shown in the screenshot below. Setup additional Dealers as authors and they will only edit their own listings, photos and articles. • Each Dealer will need to have their own user login to have their personal info uploaded to the website • Car listings differ from a standard post/articles as they have the Gorilla Themes Framework activated. AUTOMAX feature 5 different color styles and you can select and use each one of them in the theme options page. Select your preferred theme color style from the dropdown list and save. 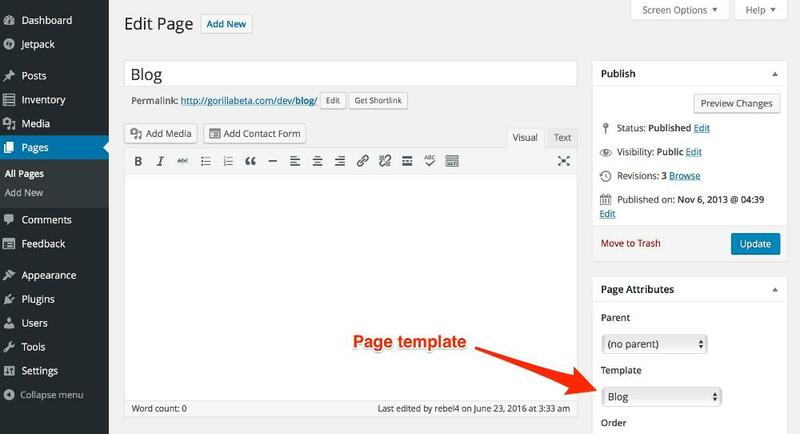 Installing your logo is very easy using the header upload tool in WordPress. 1. Click the Appearance >>> Header tab in the dashboard admin menu. Click Upload and your logo or banner will be displayed on the website header. You can reset-preview-remove your logo from this screen.